It’s Easter weekend and Passover has started. Happy Spring Holidays to you all! For us, today is about spending time away from work, enjoying family. And enjoying family traditions. So quickly, we want to share a few with you! Growing up, my mom usually MADE all our Easter basket candy. Amazing, right? I loved it then, but I appreciate it even more now. All my chocolate bunnies and peanut butter eggs were lovingly crafted by hand. Turns out, as I got older, making chocolate candies became a tradition I have enjoyed carrying on and even updating. Being vegan, not all the old family candy recipes really worked. So we’ve updated them. Also threw in a few healthier ingredients, too. My peanut butter eggs are sweetened with dates, not white sugar. They are just as delicious and your family won’t miss a step, as dates puree into a caramel-esque creaminess. That recipe is posted on Sister Eden. Mom also made Chocolate Nests. I switched the recipe to include granola, for extra crunch and fiber – and to give it a “nest-y” look and also use unsweetened coconut flakes, since the chocolate coating has enough sweetness for the entire candy. 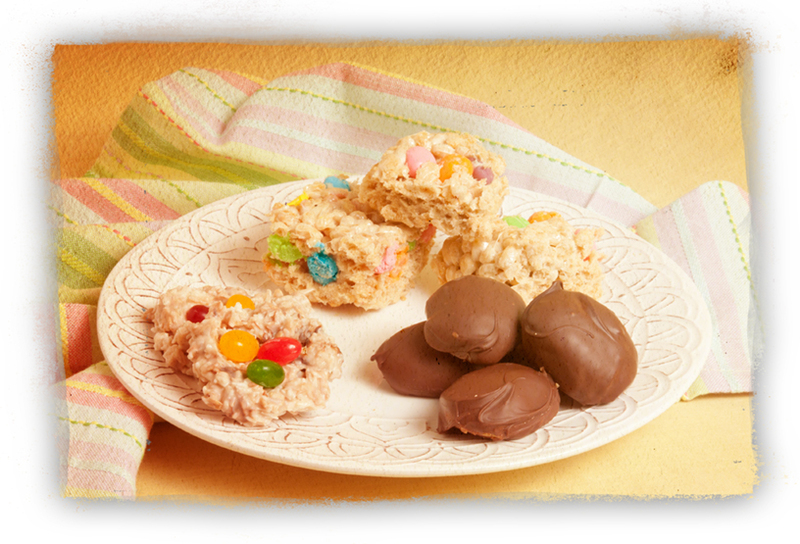 That recipe is features on Sister Eden as well as my vegan Crisp Rice Treats, another Easter favorite. All three of these recipes are very easy – don’t be scared by the idea of working with chocolate. They’re also great for kids to help with. Passover is another holiday rich with traditions. 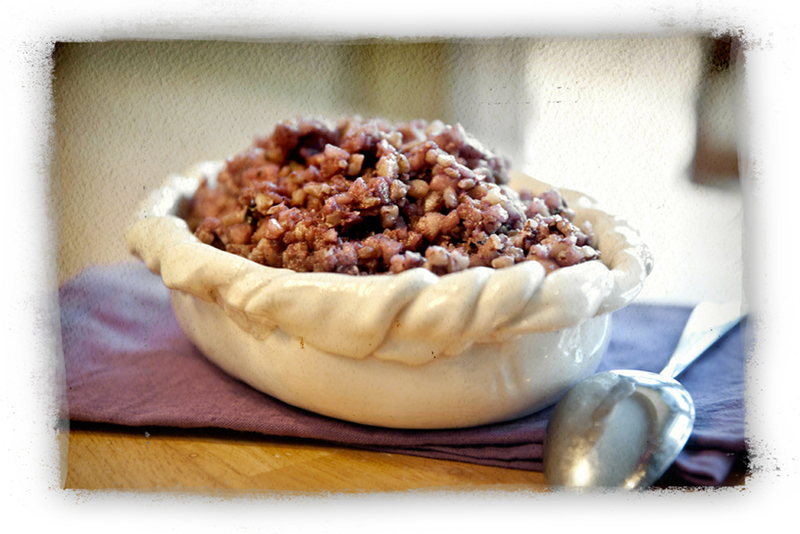 We are proud to offer up our dear friend Emily’s family recipe for Haroseth this spring. In the story told by food on the Passover Seder plate, Haroseth is representative of the mortar used to build the pyramids. It is a sweet apple mash-up, soaked in wine and eaten with matzo crackers or sometimes, even as part of breakfasts during the week of Passover. Emily explained that until teaching us the recipe, she had never written it down. It was more of a method that she learned as a girl and has always known. Haroseth was (and still is) a popular dish with her two daughters, who love the balance of flavors – and perhaps the wine! We hope you will try these great spring recipes for Easter candy and Passover Haroseth – and we wish you and yours a very happy spring holiday weekend!